It’s a great experience to photograph one the most dangerous animals in the world. Many wildlife photographers have a dream to photograph a polar bear; but, only few lucky people get a chance to take a perfect photograph of polar bear. It’s not difficult to take a good shot; you only need patience and useful tips. You must prepare yourself before going to your one of the most adventurous journey. Here are some important tips and precautions you should take when learning how to photograph polar bears. One of the best places to photograph polar bears is Churchill. This place is not very big but is famous for polar bears. 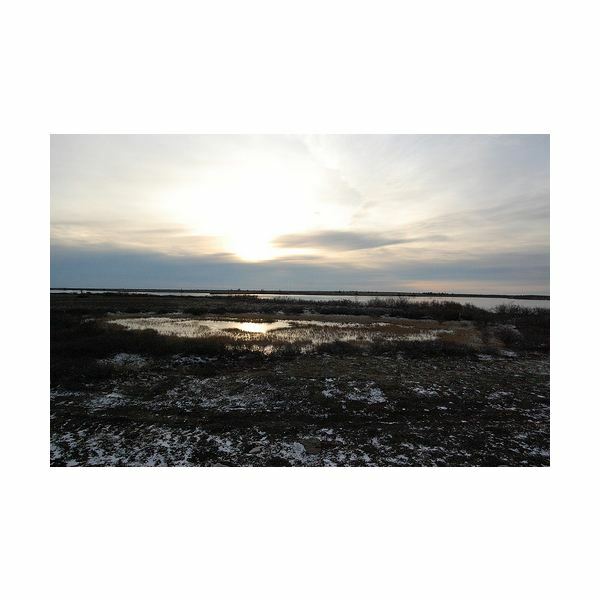 It is a town in Manitoba, Canada and located on the southwestern shore of the Hudson Bay near to Churchill River. 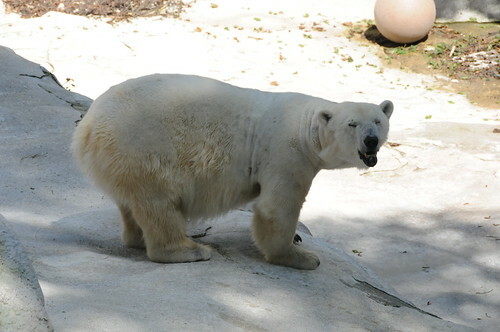 You can see polar bears in this place at a high concentration. 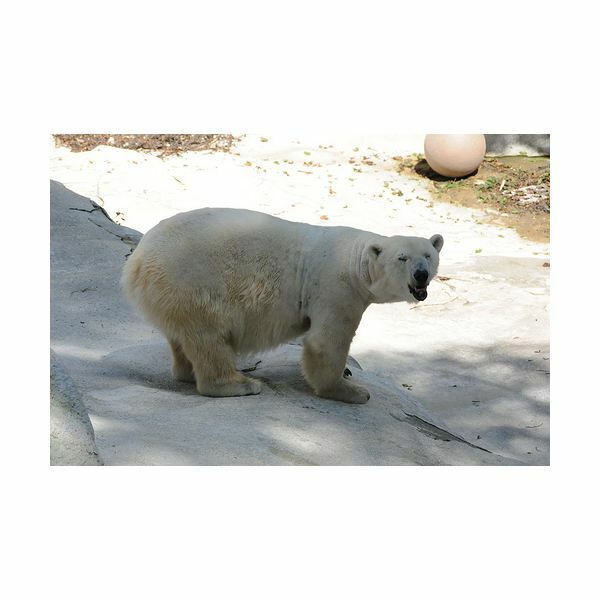 You will easily get every type of facilities, which are required to photograph polar bears. This town is also known as “Polar Bear Capital of the World." When learning how to photograph polar bears, timing is very important because polar bears can be seen only within a particular time. 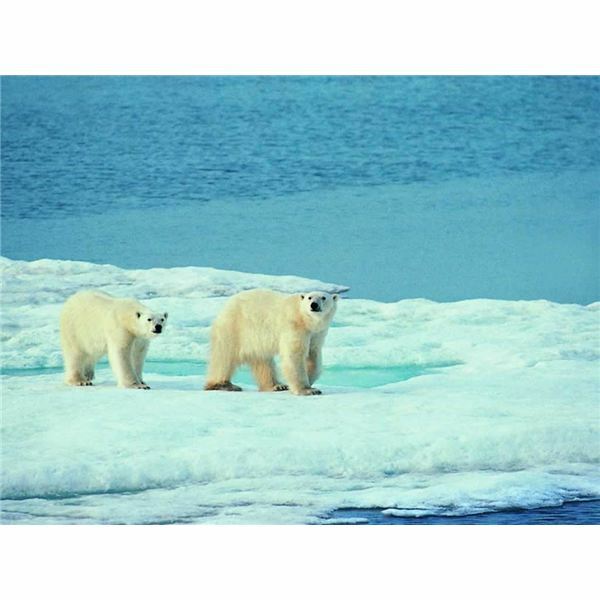 The life of a polar bear is totally dependent on ice. However, ice melts in late July. Because of this, they have to go on land to survive, and they use their stored fat to survive. This process makes a great opportunity to photograph polar bears. But, polar bears seem most beautiful when they play upon ice. Therefore, you should go when ice starts to form to take best shot. Normally, ice forming starts from mid-October. Hence the best time to photograph a polar bear is from late October to mid-November. 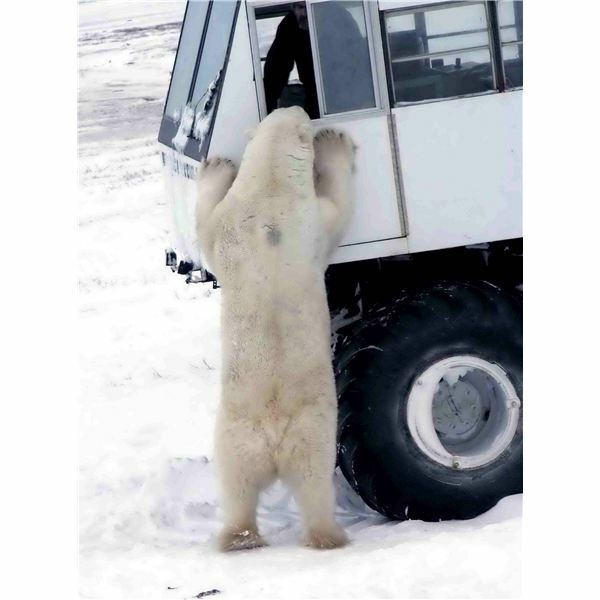 You should use a vehicle to help protect yourself from the polar bears, as well as the cold. A ‘tundra buggy’ is ideal and also available in Churchill. The geometry of a tundra buggy is similar to a bus, but has different moving system. It has off-road tires and a heavy-duty suspension and transmission. This vehicle is very slow, but is great to use when learning how to photograph polar bears. You should use three different lenses when capturing polar bears: you should use a long lens (at least 400 mm); a telephoto zoom of 70-200mm is very important to photograph closer shot of bears; you can also use wide angle such as a 28-80 mm lens to photograph beautiful scenery around you. A stable platform is very important for your camera to take good photographs during the tundra buggy ride. You can use different methods of camera stabilization, but beanbag "tripods" – beanpods – work wonderfully. These beanpods are placed between your camera and window sill. You may mount the window with a ball head to increase the stability of camera. To make your own beanpod, read How to Make a DIY Beanbag "Tripod". The batteries and film of the camera are affected greatly by the cold wind of Churchill. Hence, you should keep few things in mind to avoid shortening your camera’s life. You should use D200 and D2X batteries; they work at temperatures as below as -5F. Use your view finder below your camera and breath on the viewfinder while taking shots. Your cold breath also affects your camera, and your hope of a perfect shot may fail in last moment. • You must have information about the dress required for the Tundra region. You should carry a warm hat, gloves, snow boots, thick fleece jacket, etc. 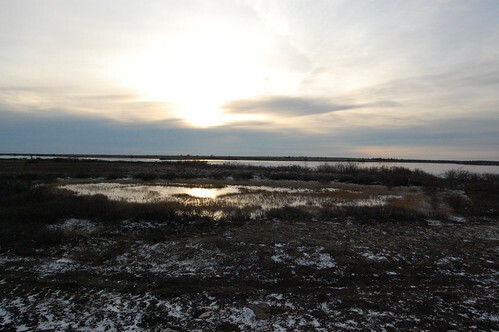 • You should pack all instrument and camera perfectly before the start of your journey in a tundra buggy. • Bring plenty of batteries with you. • Always keep hand and feet warmers with you. • You should buy everything you need before going to Churchill. This is because Churchill is a small town, and shops may not offer everything you need. • Keep your hands and arms inside the buggy, because polar bears are very dangerous; they may come close to the buggy suddenly, causing you harm. Try to avoid capturing the marks of tundra buggy’s tracks in the snow in your photos. It is very helpful to open the window of the buggy to avoid getting reflections of glass. Try capturing photographs from different angles for different perspectives. Try to zoom in as much as possible to fill your frame with the polar bear. Consider adjusting your camera’s white balance when learning how to photograph polar bears. For excellent polar bear photos, take these tips into consideration when learning how to photograph polar bears.